Karelian Hundred | Wellcome Kalevala! “Karelian hundred” is an annual competition of skiers in “classic style”. The event will be held in Russia near the township Kalevala in republic of Karelia. There will be 100 km of a well-prepared trail that will pass in the picturesque and undisturbed by man woods. The race is held in a place where Finnish scholar Elias Lönnrot collected a material for the publication of the Karelian-Finnish epic “Kalevala”. The trail is prepared by snowcat exactly for the “classical style.” There will be 3 points of fast-food each 25 km. The Security will be supported be security’s groups on snowmobiles. The trail is well marked. As usual only ski enthusiasts and tourists (not professionals) take part in this competition. Since 2011, the competition involved amateurs from Finland. 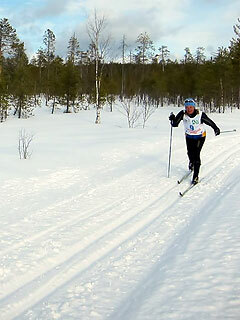 Classic style ski race on 100 km is held annually since 2009 at the end of March. We invite you to take part in the ski ultra-marathon “Karelian hundred” 17/03/2019 !